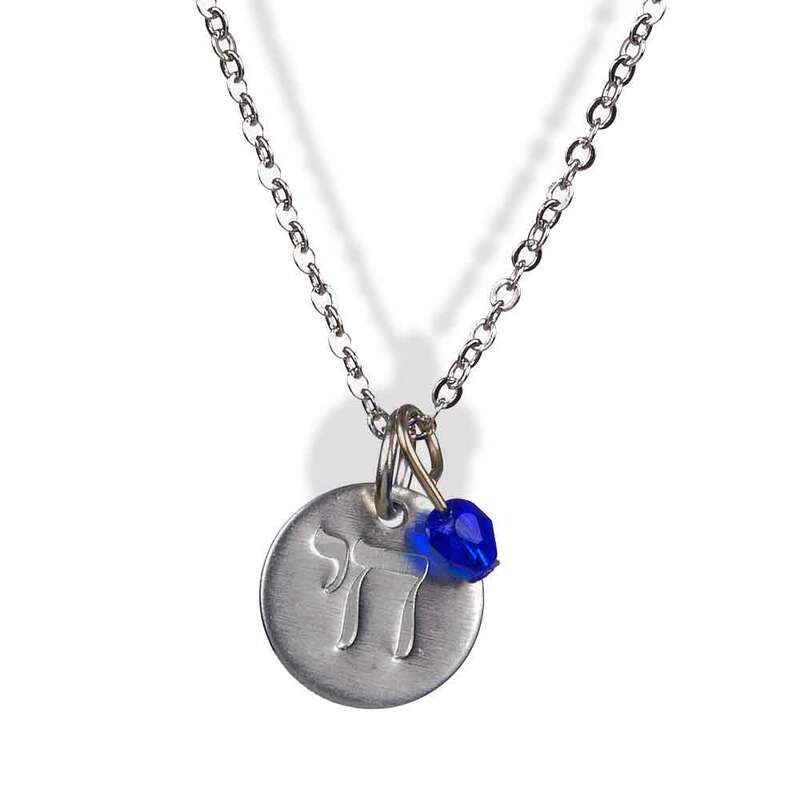 This Necklace Designed by Jillery, Features A Chai Stamped Onto A 1/2" Aluminum Disk With A Blue Colored Bead. This Pendant Comes On A 16" Delicate Chain. This Necklace Makes A Great Gift Idea For The Young Girl In Your Life.